Liu Xiaobo, 61 year old, who was previously jailed for his involvement in the 1989 Tiananmen pro democracy protests, was sentenced in 2009 to 11 years in prison for subversion a punishment that earned international condemnation. Liu Xiaobo was diagnosed with terminal liver cancer last month. 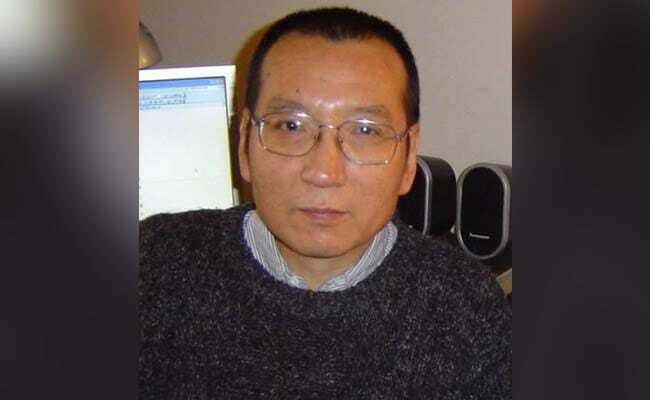 Beijing, China: Liu Xiaobo, who won the 2010 Nobel Peace Prize from behind bars, was for decades a vocal champion of democracy and human rights until Chinese authorities locked him up for speaking out. The 61 year old, who was previously jailed for his involvement in the 1989 Tiananmen pro democracy protests, was sentenced in 2009 to 11 years in prison for subversion a punishment that earned international condemnation. To Beijing's fury, he was awarded the Nobel prize a year later and was represented by an empty chair at the ceremony in Oslo. Last month the prominent activist was diagnosed with terminal liver cancer and released from prison on medical parole, his lawyer Mo Shaoping said Monday. He is being treated in a hospital in the northeastern city of Shenyang. Liu was arrested in late 2008 after co-authoring Charter 08, a widely circulated petition that called for political reform in the Communist ruled nation. The bold manifesto, which was signed by more than 10,000 people after it went online, calls for the protection of basic human rights and the reform of China's one party system. Beijing opposes the peace prize "because they fear that it will draw more attention to Liu Xiaobo and to China's situation (on democracy and human rights)," his wife Liu Xia told AFP after he was honoured by the Nobel committee. "If they didn't fear this, then they would not have sentenced him to 11 years for writing an essay." Liu Xia herself was placed under house arrest at the time of the Nobel award and could not be reached for comment on Monday. She suffered a heart attack in 2014, when she was diagnosed with depression after years of detention, a rights group said at the time. Charter 08 specifically demands the abolition of subversion as an criminal offence. "We should make freedom of speech, freedom of the press and academic freedom universal, thereby guaranteeing that citizens can be informed and can exercise their right of political supervision," it says. "We should end the practice of viewing words as crimes." Liu was rearrested and served three years in a labour camp from 1996-1999 for seeking the release of those jailed in the Tiananmen protests and for opposing the official verdict that their actions amounted to a counter revolutionary rebellion. Liu, who holds a doctorate in Chinese literature, was once a professor at Beijing Normal University, but was banned from teaching at state institutions over his involvement in the 1989 demonstrations. As a leading member of the Independent China Pen Centre, a grouping of Chinese writers, Liu remained in close contact with key intellectuals and had been largely free to attend meetings and writer group activities despite constant police surveillance. Although he has been banned from publishing in China, many of his writings advocating greater democracy and respect for human rights have appeared in Hong Kong and overseas Chinese publications. Some of these served as evidence in his most recent trial. Liu still commands great respect among Chinese intellectuals, a fact that some say was central to the Communist Party's decision to bring charges against him. Western governments, rights groups, scholars, and a coalition of Nobel prize winners have repeatedly called for his release. Liu is the first Chinese citizen to win the Nobel peace prize and one of only three people to have won it while detained by their own government. The Nobel announcement sparked renewed calls for his release, led by fellow peace laureates and then by then US President Barack Obama. Washington has also called on Beijing to end its house arrest of Liu Xia. Liu has been honoured by Human Rights Watch, Reporters Without Borders and other rights groups. His essay 'The Noble Paradise of Power, the Hell for the Meek' won the Hong Kong Human Rights News Prize in 2004.